The Westchester Coalition for the Hungry and Homeless, Inc. held its Ninth Annual Fight Hunger and Homelessness Awards Dinner April 27 at Abigail Kirsch at Tappan Hill. 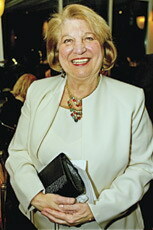 Jo Falcone, manager of Century 21 Wolff White Plains, past president of the White Plains Rotary and former councilwoman, was honored for her efforts in helping those less fortunate. William M. Mooney Jr. of White Plains, president of the Westchester County Association, received the Humanitarian Award. 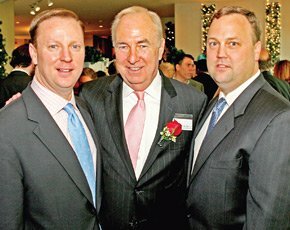 Pictured here are Bill Mooney III, Humanitarian Award recipient William M. Mooney Jr., and Tom Mooney. Rotarian Rosa Boone is the Executive Director of the Westchester Coalition for the Hungry and Homeless. 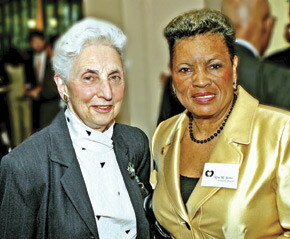 Pictured here are founder Harley Lewis and Executive Director Rosa Boone.